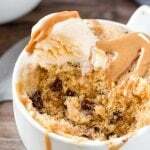 This easy peanut butter mug cake is fudgy, moist, made in the microwave, and ready in under 5 minutes. 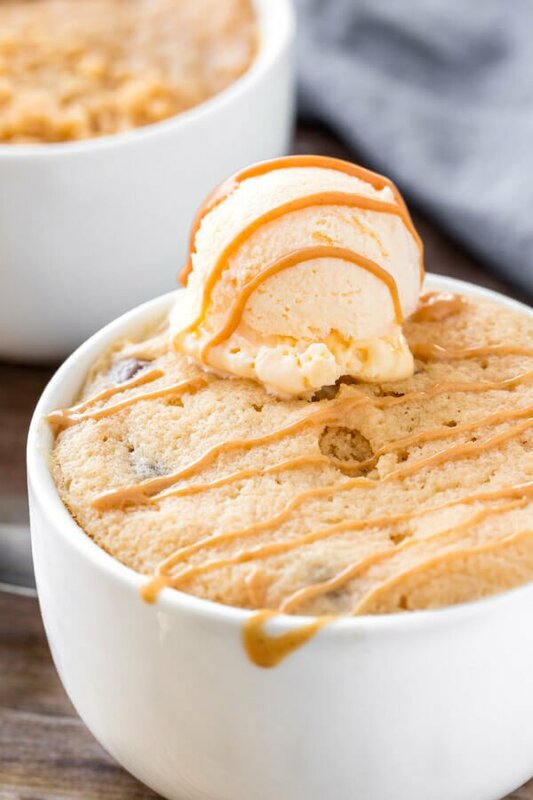 Add in some chocolate chips or an extra drizzle of peanut butter on top for the most delicious mug cake recipe. 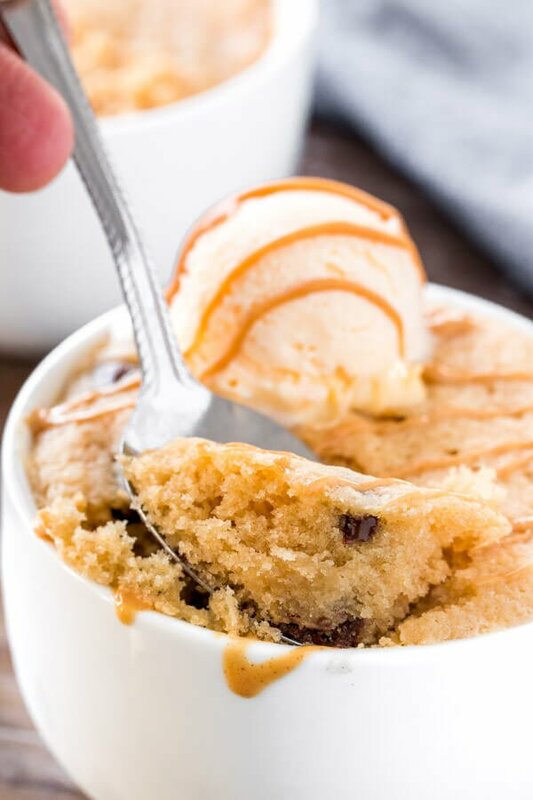 I can’t say no to a peanut butter treat – and when you’re short on time, then this peanut butter mug cake is the perfect treat. It tastes somewhere in between a peanut butter cookie, and a fudgy piece of cake. 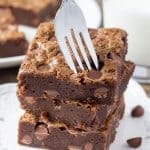 It’s super moist and has a delicious peanut butter flavor without being too sweet. I posted my first mug cake recipe on Just So Tasty only a few months ago. But since then – this vanilla mug cake recipe has been going crazy. So I made the chocolate version next, and since I can’t say no to a peanut butter treat, this peanut butter mug cake recipe had to happen. Add the oil, peanut butter, sugar and egg yolk to your mug and give them a whisk. Gently stir in the flour and baking powder, then whisk in the milk. You can also stir in 1 tablespoon of chocolate chips at this point too. Then to “bake the cake” – microwave for 1 minute and 30 seconds, or until you see the top start to puff up and it looks set on the top. 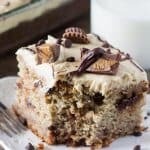 How do I make a peanut butter mug cake without egg? Replace the egg yolk with 1 extra tablespoon of milk. I found that using the egg yolk makes the mug cake extra moist and fudgy, but you can definitely just use milk instead. Can I turn this into a chocolate peanut butter mug cake? Absolutely. 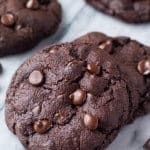 Simply add in 2 teaspoons of cocoa powder in addition to the flour. 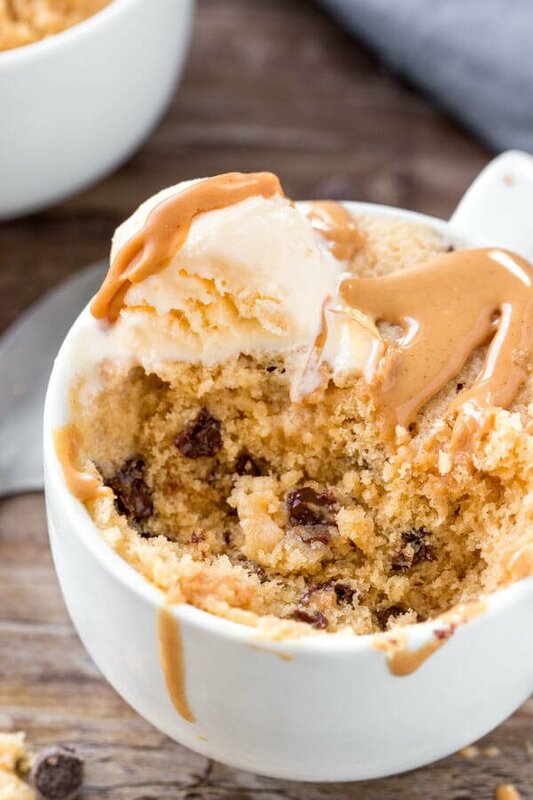 I love this peanut butter mug cake when it’s late at night and I’m craving something sweet. 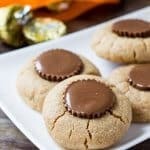 It’s so easy to make, perfectly peanut buttery, and so fudgy and moist. Add the oil, peanut butter, sugar & egg yolk to a large mug. Whisk together until smooth. Whisk in the flour and baking powder. Microwave for 1 minute and 30 seconds or until the top looks set. Let stand for 1-2 minutes to cool slightly, then top with ice cream or a drizzle of peanut butter. 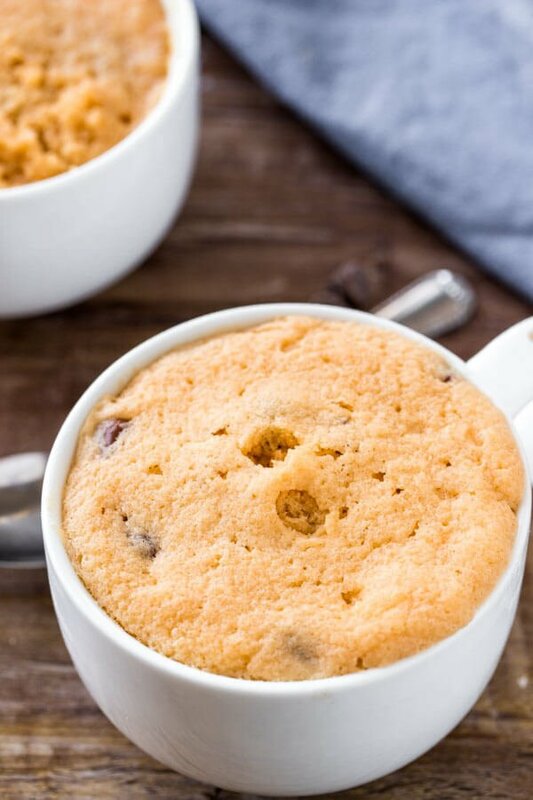 Wonderful mug cake recipe. It is so moist and fluffy. I will be making this again. 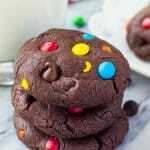 It is one of the best mug cake recipes out there. Thanks for sharing. This mug cake turned out really well! Moist, fluffy, great flavor! I used one Tablespoon sugar and one Tablespoon stevia in the raw, and it was still great! I will be making this again.